There are 11 million orphans in sub-Saharan Africa, many of whom receive little or no education and have turned to crime and drugs for survival. 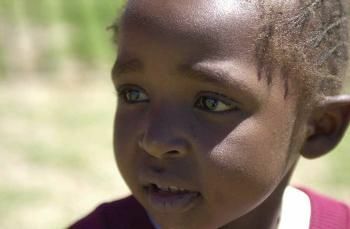 Having lost their parents to AIDS, many children are left with weak or non-existent family ties. Children as young as 9 are often burdened with the care of younger siblings. Neither the needs of the young caregivers nor their siblings are being met. Reach the Children encourages Kenyan families to bring orphans into their homes whenever possible. Additional resources may be made available to those families caring for orphaned children. Family settings offer nurturing environments and good models for orphaned children. Reach the Children calls this approach “family-based” Orphan Care. Those who have been helped by a micro-enterprise loan or a community development project see an increase in their income and are often capable of caring for additional orphan children. In one case, a man and his wife in Limuru, Kenya have been able to bring 12 additional children into their home and care for them as a result of their successful business venture—a bakery. The children enjoy living in a caring, family environment. Some of the children are even able to attend school. Many lives are improving through this program. Training on Family Based Care of Orphans and Vulnerable children, an approach that involves the community participation and ownership. Involving the communities in identifying activities that can generate income for them within their community. Adding value to all the products at the community. Using the products to improve the lives of orphans and their caregivers. Finding marketing solutions for the products so that the community makes good profit.